Another obstacle overcome by Zinedine Zidane's men, as Real Madrid had a short trip to Leganés and beat the locals 4-2. Álvaro Morata stepped up his game and scored twice in this game to help the Merengues securing the 3 points. On a day that Barcelona completed a 3-0 victory over Sevilla, Real Madrid needed to match the result to maintain their standing in the league. Thankfully and even with a changed team, the Merengues were able to come away with a 4-2 victory. Toni Kroos, Gareth Bale and Cristiano Ronaldo all rested, but the reserves were able to shine today, especially Álvaro Morata who did really well scoring 2 goals in the match. 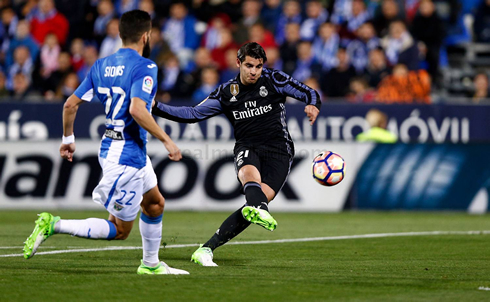 Real Madrid jetted off to a 3-0 lead early in the first half, with James Rodríguez and Morata getting on the scoresheet. But the Merengues would take their foot off the gas and Leganés were able to grab two back before the end of the half. Zinedine Zidane's men recovered early in the second half forcing an own goal and were able to hold on from there. The team however, flowed quite well today in the absence of all the stars. It's something that Zidane needs to do more, rest his star players and keep them fresher for the bigger games. Florentino Perez has built a massive and well-balanced club and it's important to use the players and keep them involved. 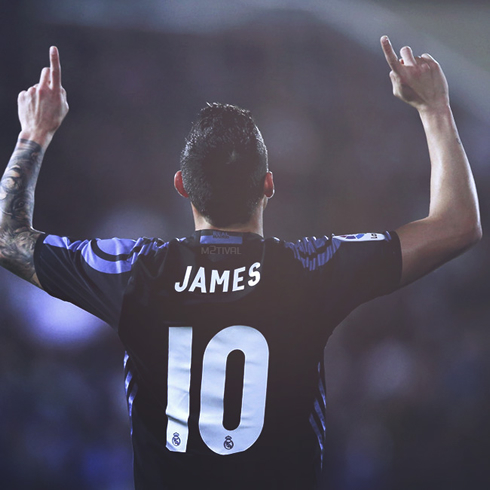 Isco for example, has been rumored to leave mostly based on his lack of playing time. These are class players that need to feel involved. It was fantastic to see the likes of Morata, Asensio and James shine today. James, of course, did not look happy being taken off and it's something Zidane will have to address soon. 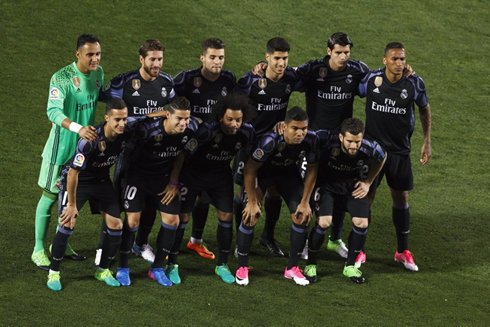 This is a very important month and Madrid have started well with two victories. There are bigger games on the horizon, but this was a solid victory as Madrid looks ahead to the weekend and their clash against Atletico Madrid. Attackers: Asensio, Lucas Vázquez, Morata. Cristiano Ronaldo next game is a La Liga fixture, on April 8 of 2017 against Atletico Madrid. You can watch Juventus live stream, Real Madrid vs Atletico Madrid, Malaga vs Barcelona, Manchester City vs Hull City, Tottenham vs Watford, and Bayern Munich vs Borussia Dortmund, all matches provided from our live soccer game pages.